What do you mean another Batman game? With the success of Arkham Asylum and the sequel set to blow our minds later this year, it would seem that the caped crusader has finally found a winning recipe. A formula that has the potential to enthrall the long time fans, and captivate those who never really took an interest in the Dark Knights seventy year old legacy. For those of you who have read a Batman comic or two in the last five years, you will undoubtedly have heard the name â€œHushâ€. If not, go find and read the series or the trade paper back now, because if rumors are true, Hush is set to be the plot for the next Batman game. 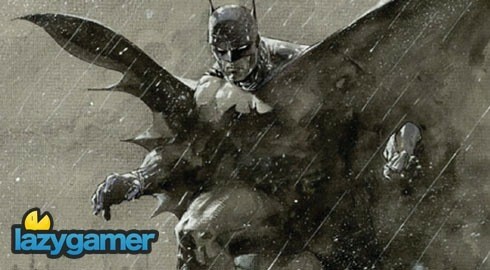 According to reports, domains entitled: batmanhush.com and batmanhushgame.com have recently been secured by Warner Brothers. While there is little else on the Google machine to solidify the speculations, this could mean that in future, gamers might have the opportunity to indulge in a Batman based adventure created by some of the most talented individuals in the comic book industry. Furthermore based on the storyline, it will most likely move batman games from the established Arkham inspired setting onto the streets and roof tops of Gotham city.